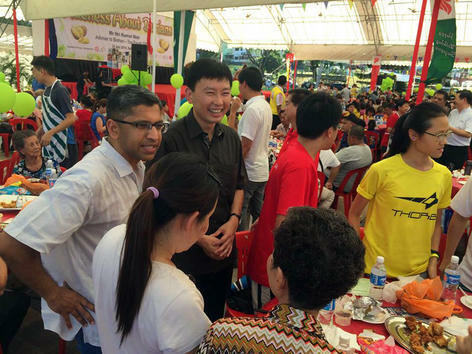 Deputy Prime Minister Tharman Shanmugaratnam (third from left), Madam Halimah Yacob (centre), and Madam Rahayu Mahzam (third from right) attended a National Day dinner in Bukit Batok yesterday. 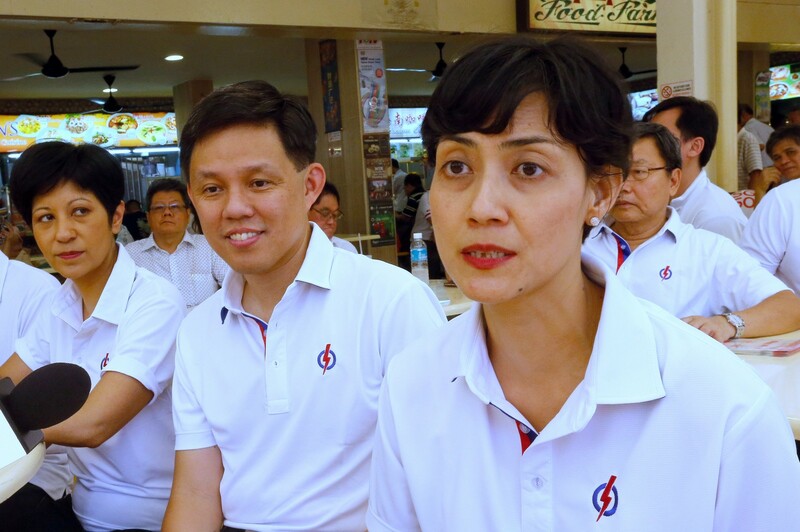 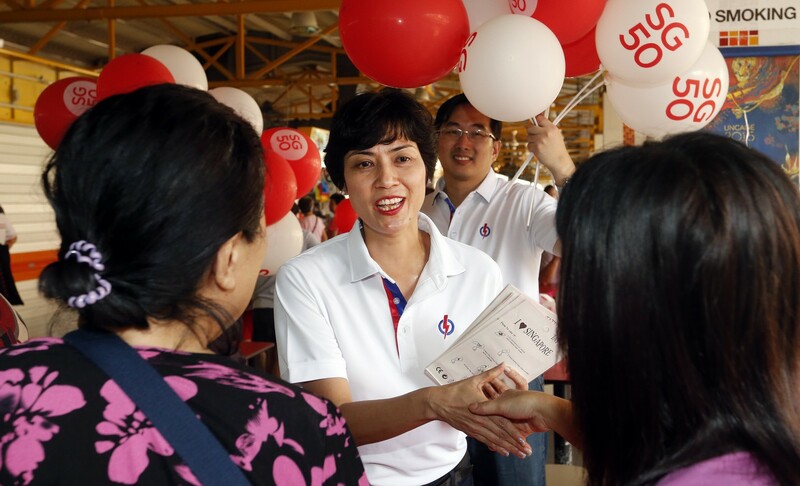 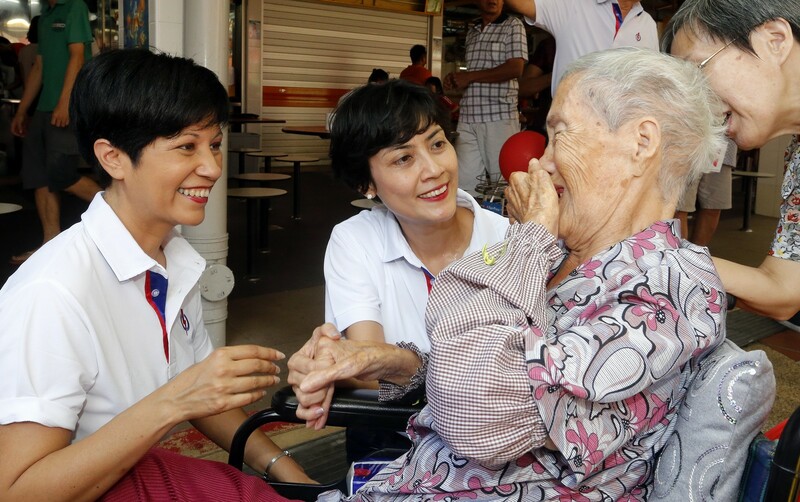 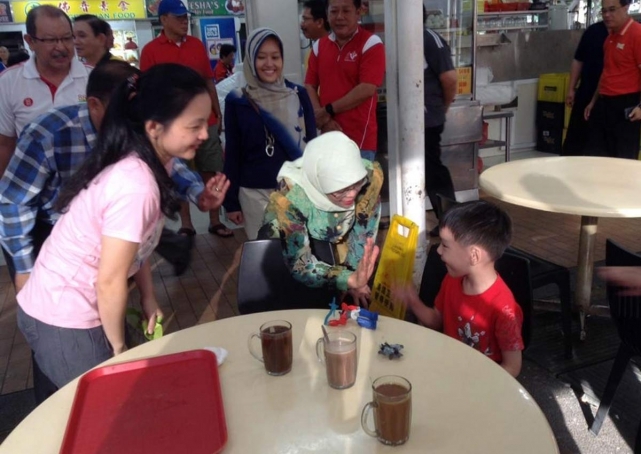 Madam Rahayu will replace Madam Halimah in Jurong GRC. 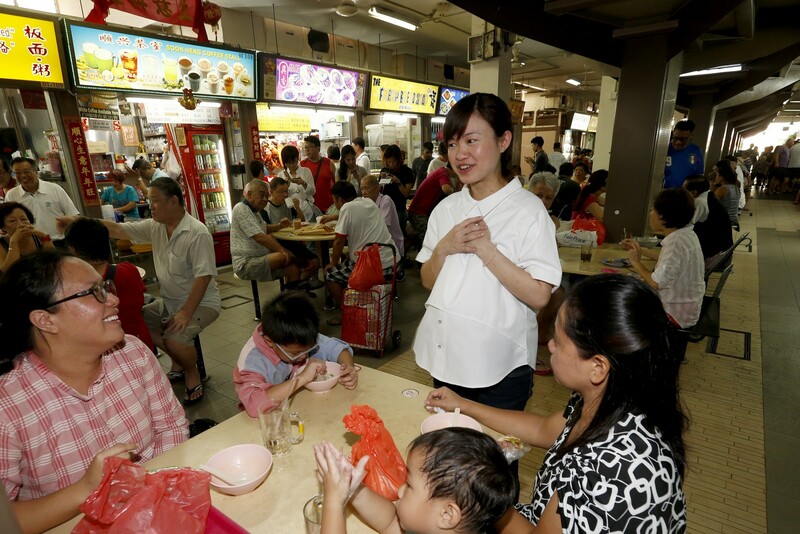 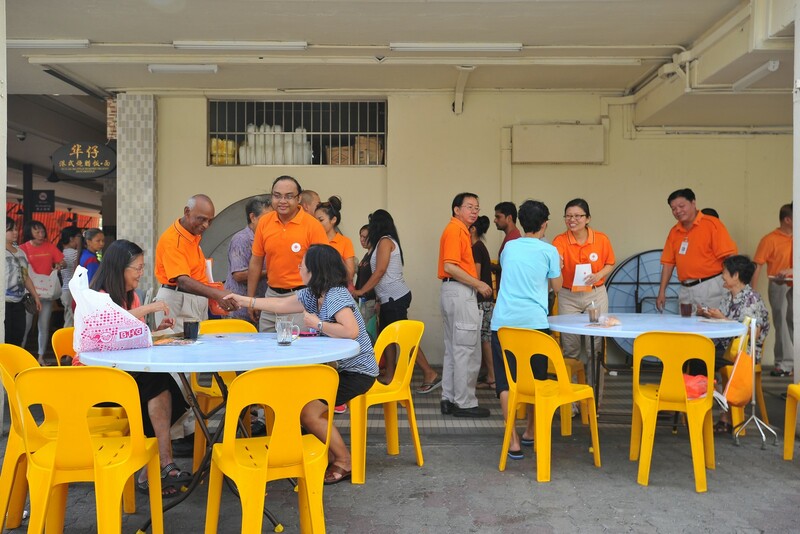 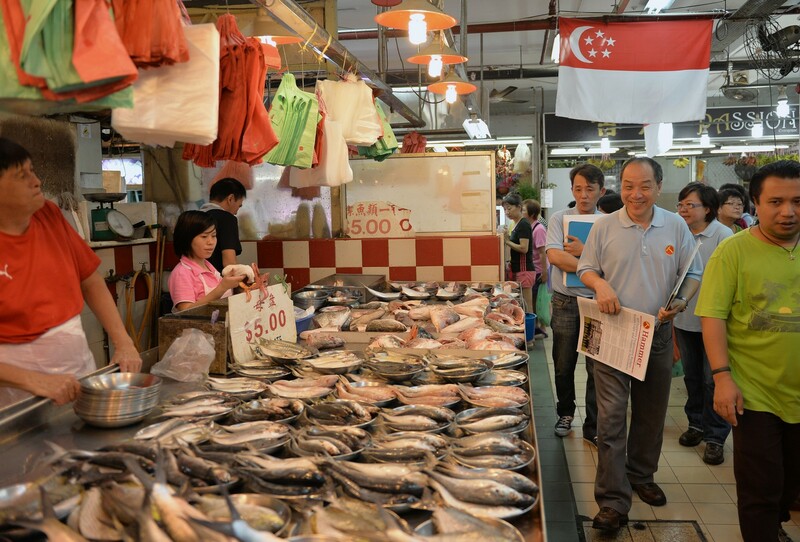 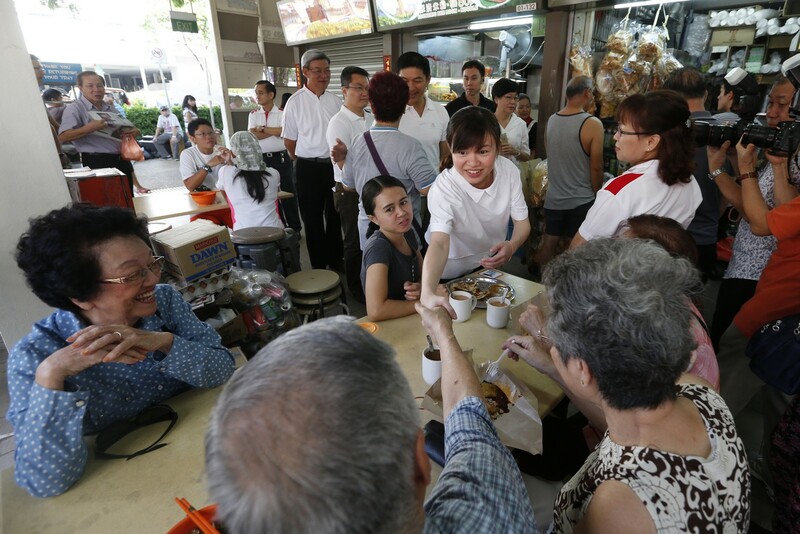 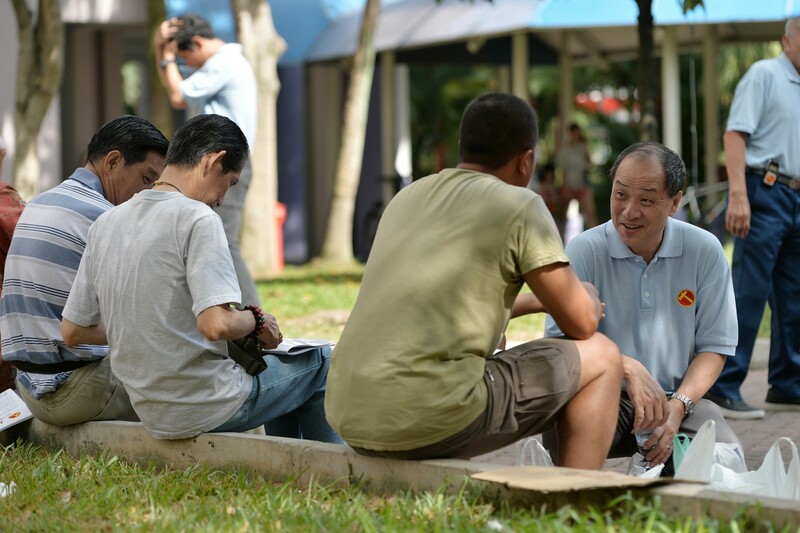 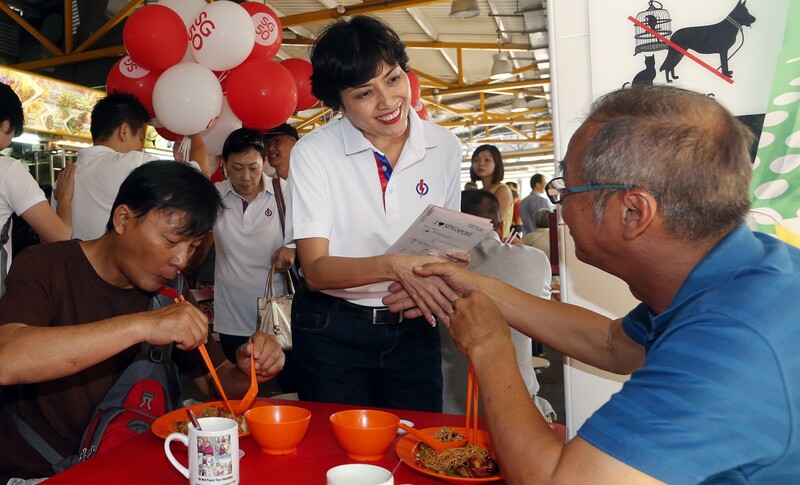 Deputy Prime Minister Tharman Shanmugaratnam last night announced changes to those likely to represent the PAP in the western parts of Singapore. 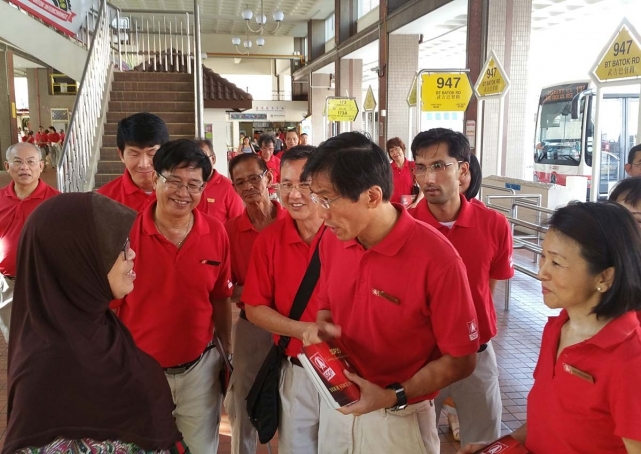 Speaker of Parliament Halimah Yacob will leave Bukit Batok East ward in Jurong GRC for the newly created Marsiling-Yew Tee GRC, while three-term MP Arthur Fong, the MP for Clementi in West Coast GRC since 2001, steps down at the next general election. 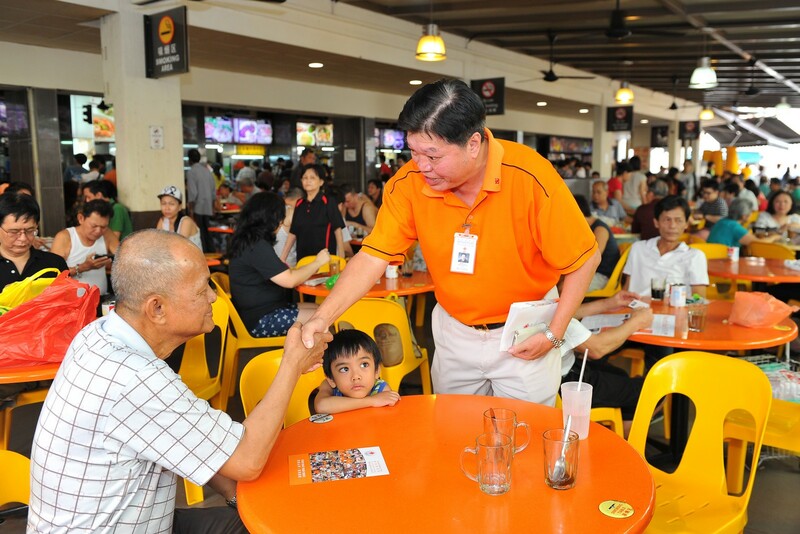 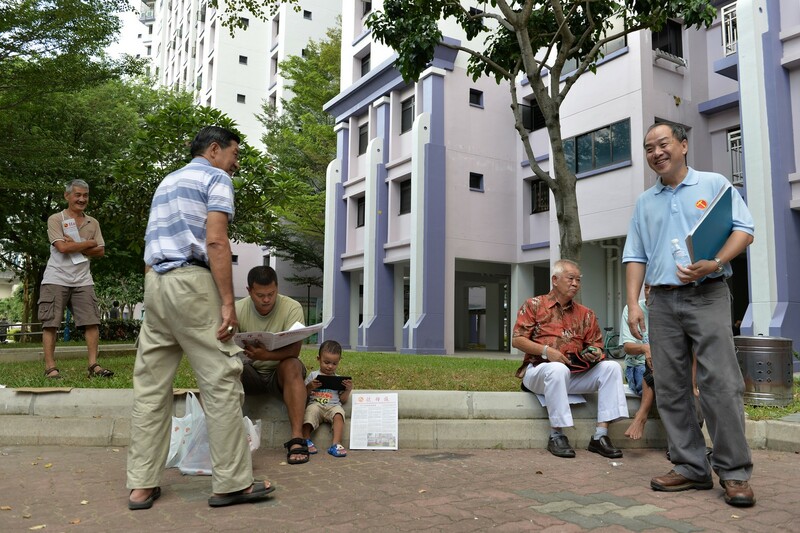 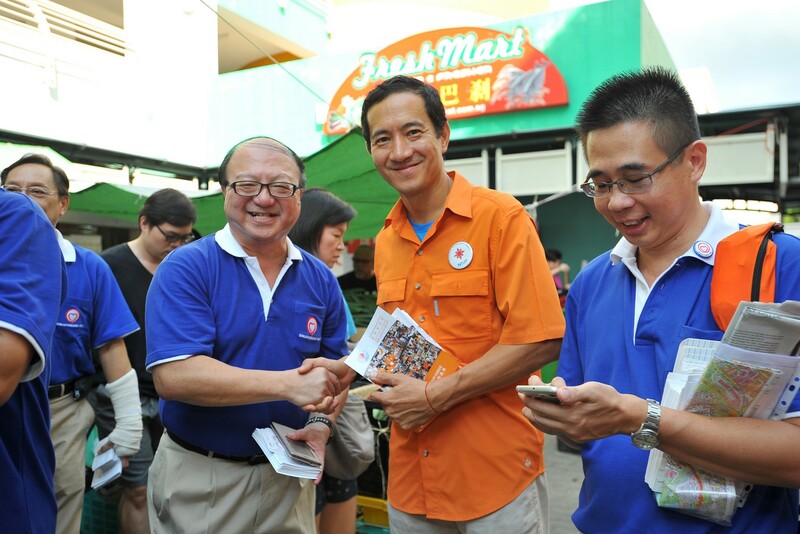 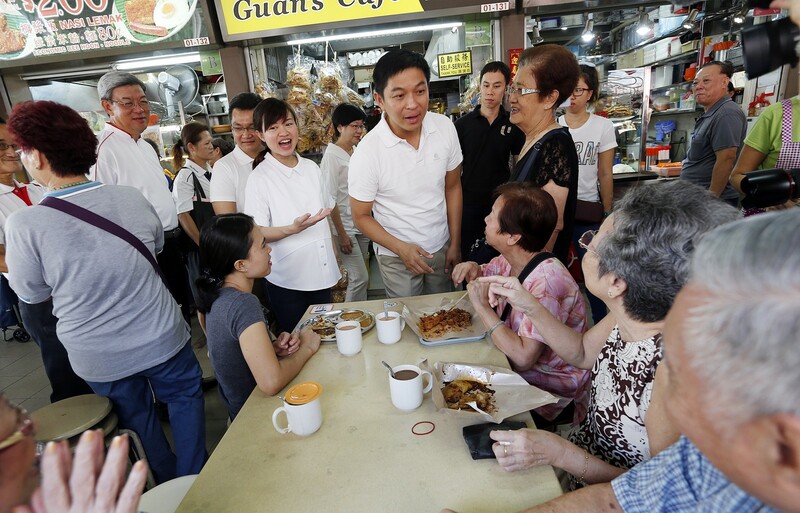 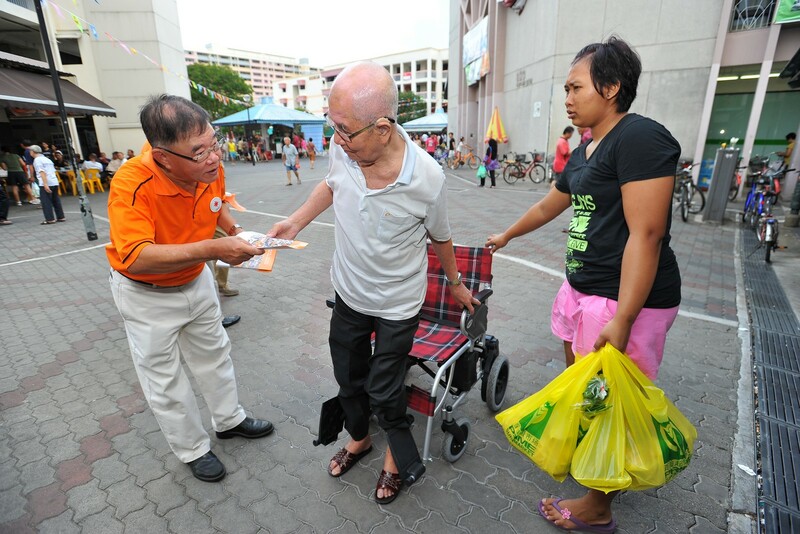 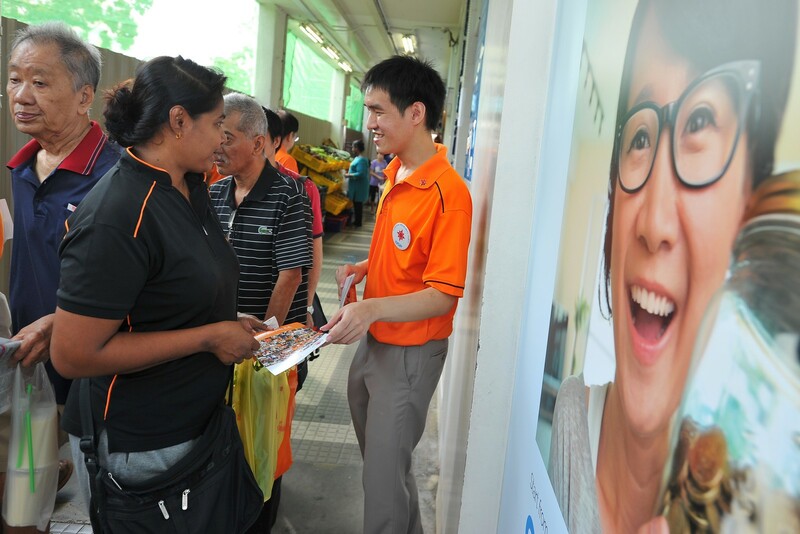 His ward will be under Jurong GRC following boundary changes announced last month. 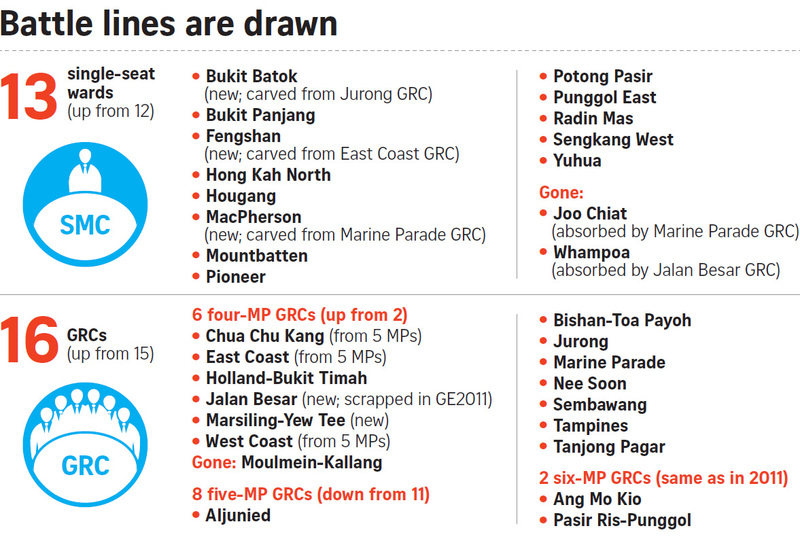 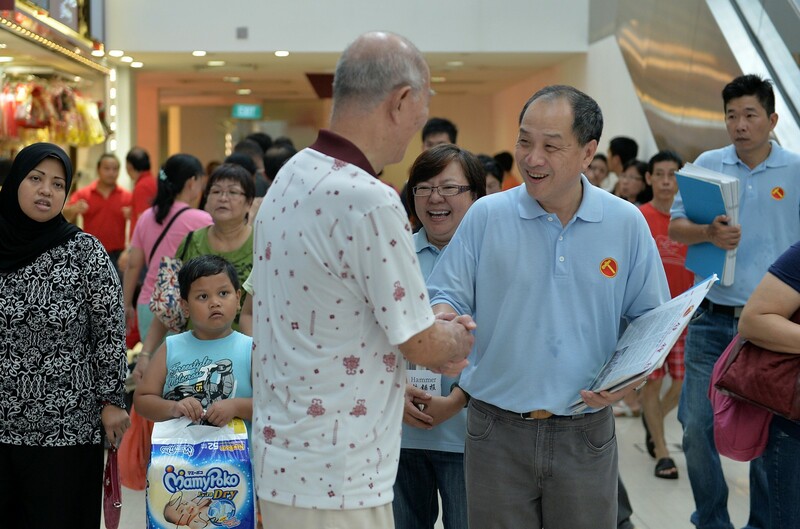 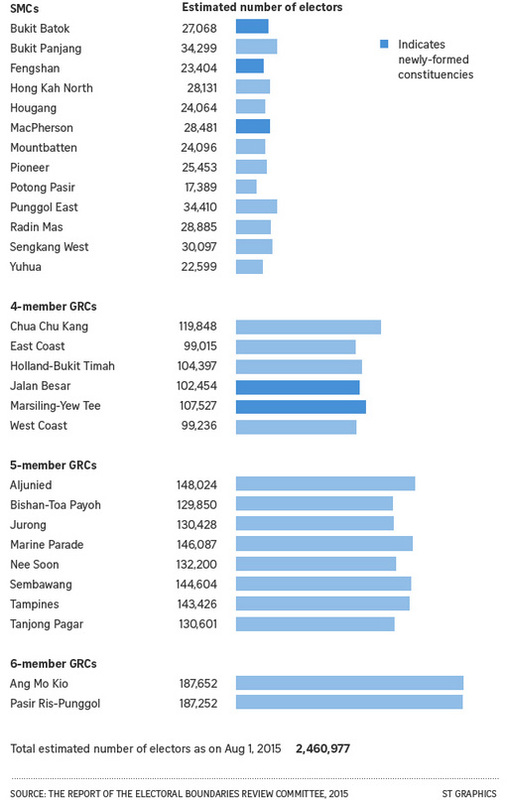 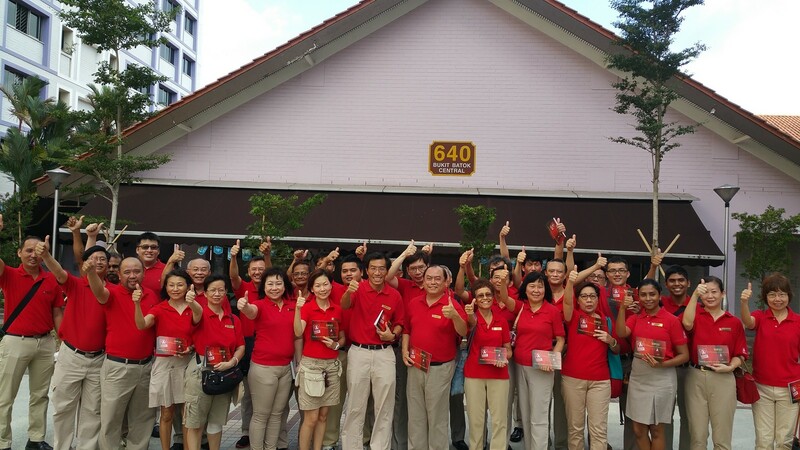 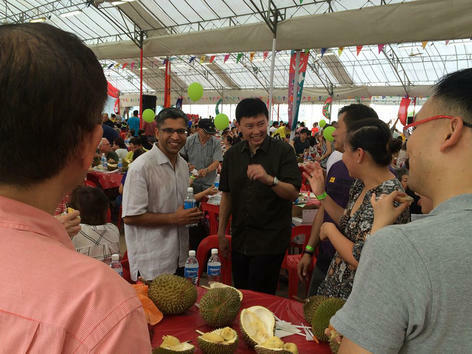 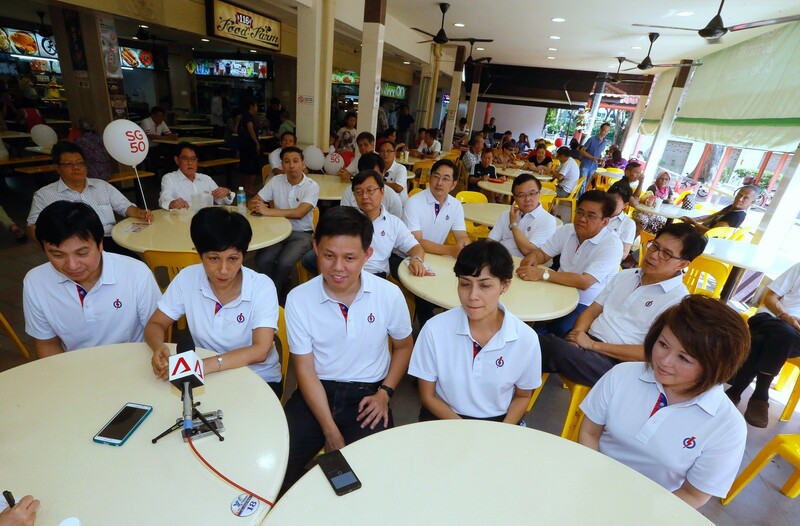 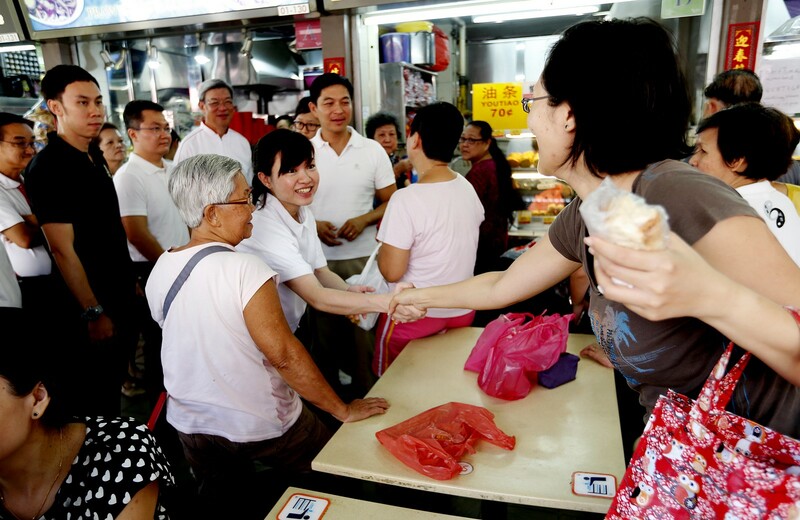 Mr Tharman, who is Jurong's anchor minister, also named their likely successors at constituency events. 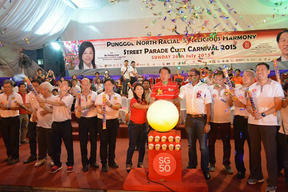 Former civil servant Rahayu Mahzam looks to be Madam Halimah's replacement and was introduced at a National Day dinner. 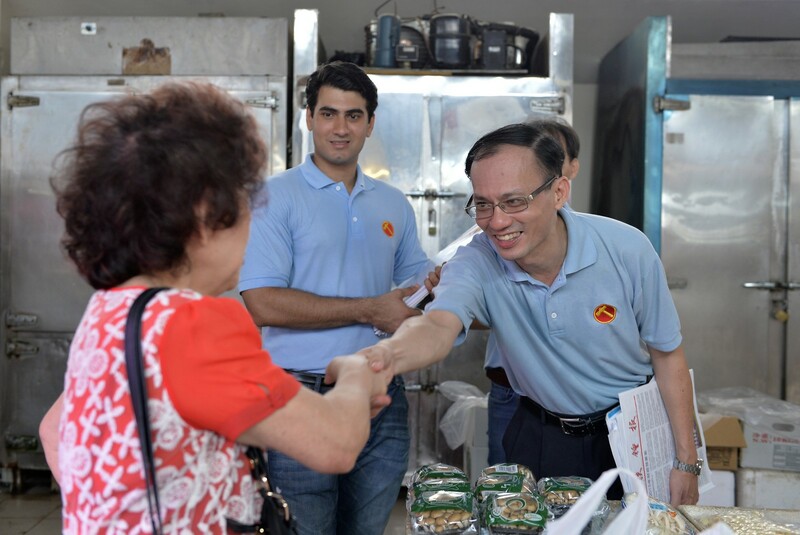 Mr Tharman said that as Madam Halimah leaves for Marsiling-Yew Tee GRC, "a very good young person has come in to Bukit Batok East". 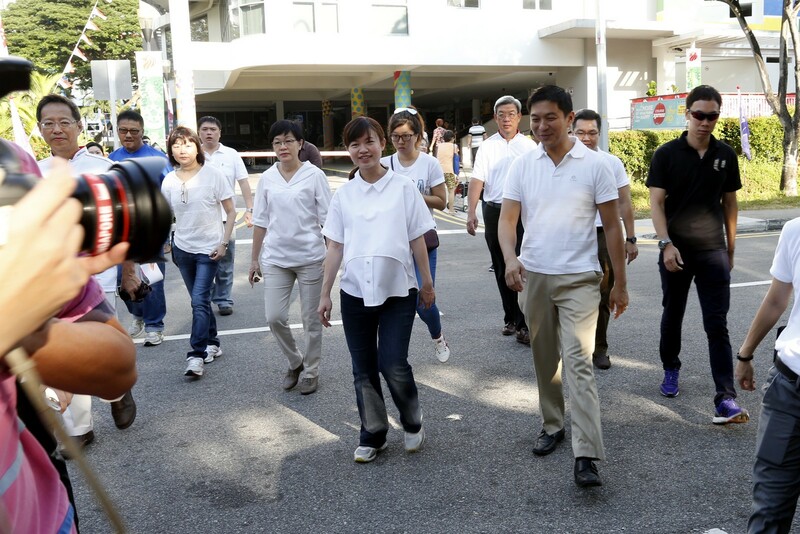 Mr Fong's replacement in Clementi is oncologist Tan Wu Meng. 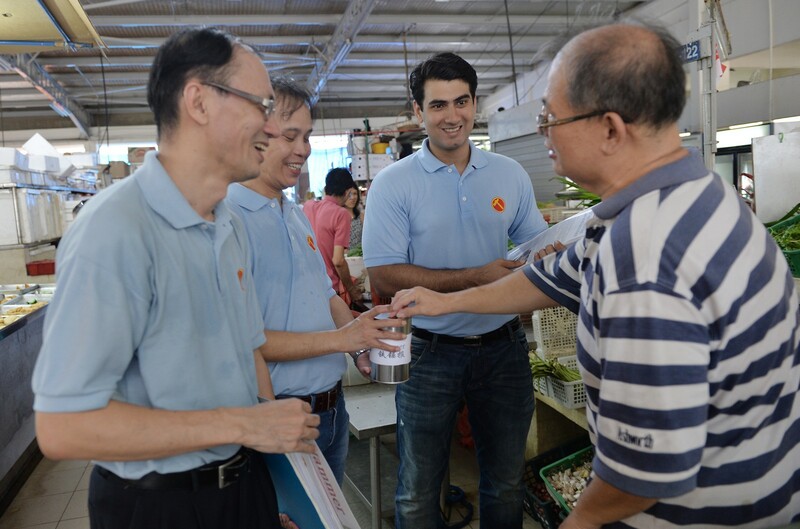 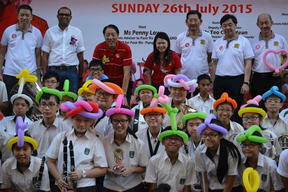 Mr Tharman said at a concert in Clementi that he was confident Dr Tan could carry on the good work there. 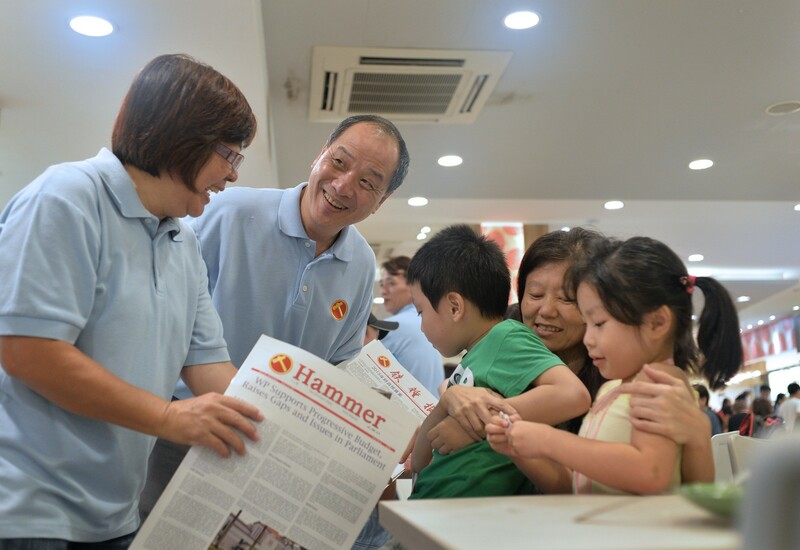 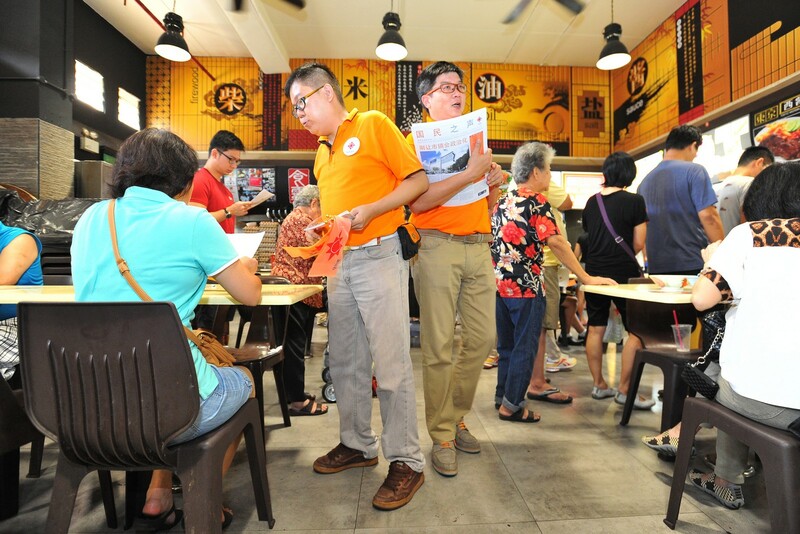 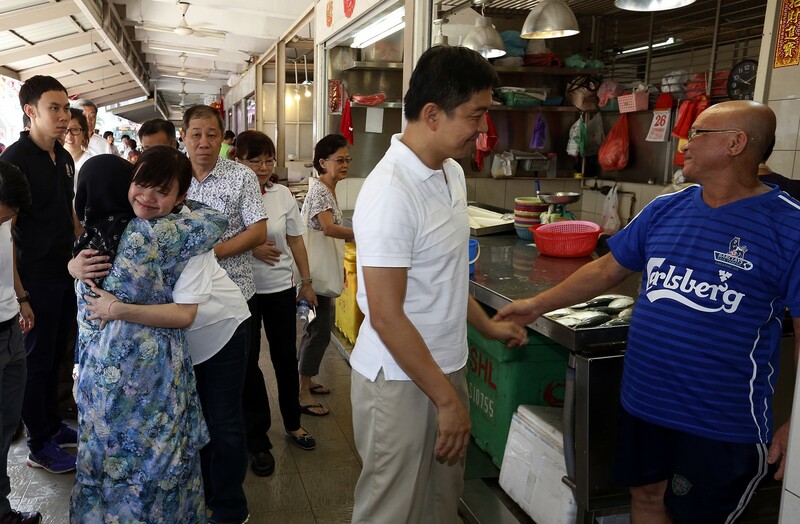 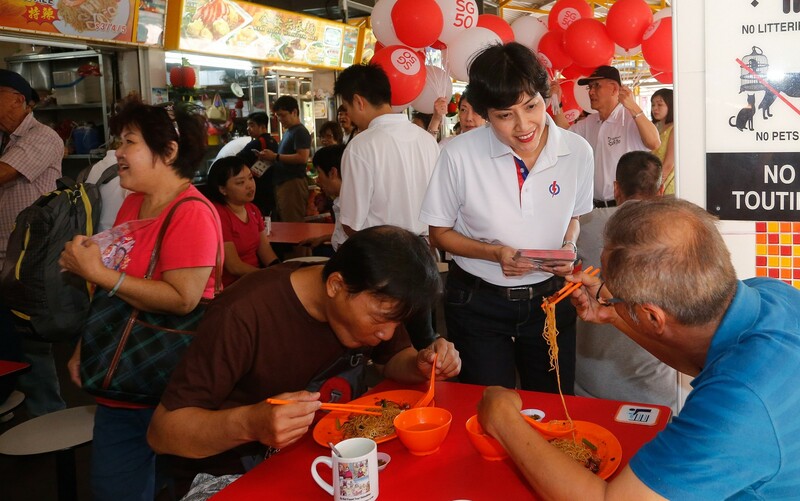 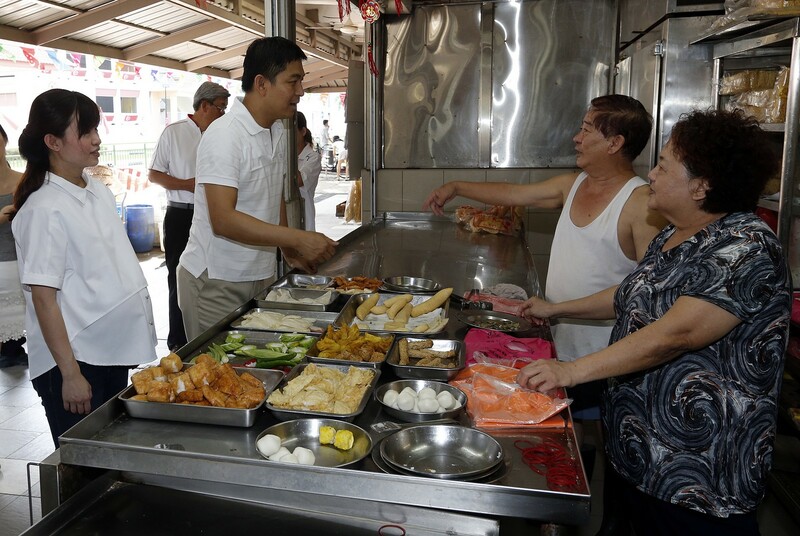 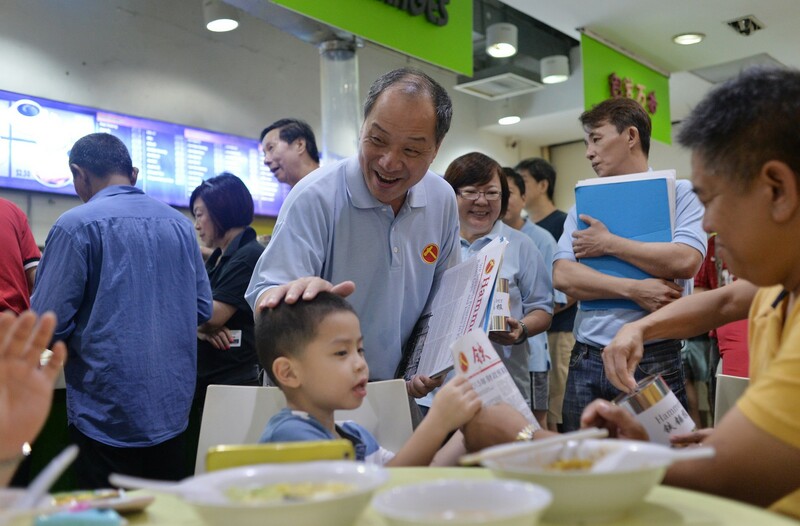 Other potential candidates were also seen yesterday: Temasek Holdings investment director Sun Xueling at a Pasir Ris-Punggol dinner, and CIMB Bank Catalist head Yee Chia Hsing in Chua Chu Kang GRC with MP Alvin Yeo.